MEET THE LUCARELLIS! She was the attractive, life of the party. He was the introverted athlete. He laid eyes on her at a camp when he was 17, but didn't man up to ask her out until some years later. They're working on 14 years of marriage - Becky, affectionately known as BeckyLu, and Jeremy, or Luca now live in Chattanooga, Tennessee with their three kids and black lab named Atticus. Becky loves being a mom, but has never been one to sit around! Her passion for all things creative–art, writing, and communication–serves her well as she actively engages others with the Word of God. With a passion to fulfill God’s kingdom call, Becky serves as a Director with Chattanooga Classical Conversations, illustrates children's books, and loves helping women engage with God through knowing His Word as a Precept Ministries Bible Study Leader. Jeremy believes that the gospel changes everything. He serves as the Director of Leadership Development at Precept Ministries International. He loves empowering Precept Bible Study Leaders, Trainers, and Coaches to engage others in a relationship with God through knowing His Word. 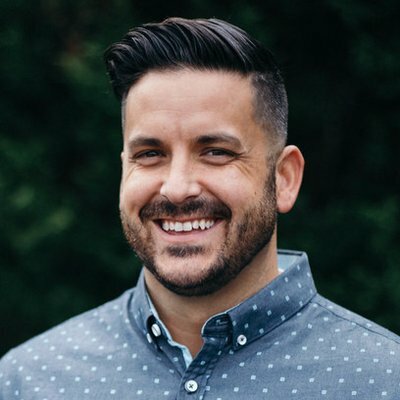 Luca's unique perspective as a barista, educator, athlete, coach, pastor, and communicator help to hone the call to glorify God by making disciple-making disciples, empowering people to engage in relationship with God through His Word, building a culture of men, and planting gospel-centered churches. For all of you personality gurus - Luca is an ENTJ and 99.8% Enneagram 8 with a wing to a 7.